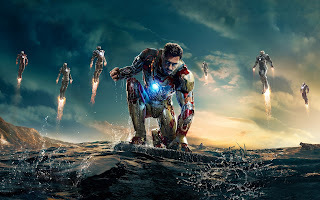 So the summer movie blockbuster season has officially kicked off with the release of Iron Man 3 today, April 26 (in India), & I can definitely say it was the most awaited movie of the year for me. However, I was sadly left feeling quite disappointed by it. 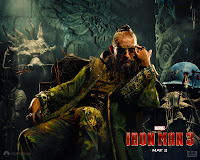 In this film, Tony Stark aka Iron Man played by the ever-awesome Robert Downey Jr comes face-to-face with his comic book nemesis, The Mandarin (Ben Kingsley), aided by AIM (Advanced Idea Mechanics) that is led by Aldrich Killian (Guy Pearce). RDJ, as always, does a splendid job playing the snarky Stark & Kingsley does a great job with Mandarin as well. In fact I have no complains with the acting at all. It was pretty good all around. The direction by Shane Black this time around was also pretty good. I like that the dynamics between the characters was explored more. 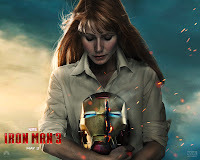 The scenes between Stark & Pepper Potts (Gwyneth Paltrow) are an absolute joy to watch & there's a lot of meaningful interaction between them. The relationship between Tony & his army buddy James Rhodes (Don Cheadle) was also dealt very well with them actually teaming up for more time in this movie! Rhodey now dons the Iron Patriot suit (that was worn by Norman Osborne in the comics) & does away with the "War" Machine title. Even the scenes between Tony & the kid Harley (who helps him when he's in his rough spot) are heart-warming & funny. Which also brings me to the humor in the film. Obviously with Tony Stark AND RDJ involved there's bound to be a lot of witty retort & there sure is! Loads of laughs from beginning to end! Another thing I did love about this film is the parallels they've tried to make with Tony dealing with his alcoholism in the comics. No, he isn't an alcoholic in this film (& I think Feige has also stated he never will be in the movies as it's also meant for kids), but he has to deal with his anxiety attacks from the aftermath of the New York attacks seen in The Avengers. The action I think was very well executed. 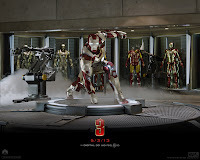 Despite being a 3D film, not once did I feel that the action was going too fast that it was hard for me to keep track of. None of it is edge-of-your-seat, but it is all pretty good nonetheless. The aerial stunt (that you see in the trailers) is the best of them all. It was also nice to see Pepper get some piece of the action as well! Also the Visual Effects was great all around & aided the action very well. 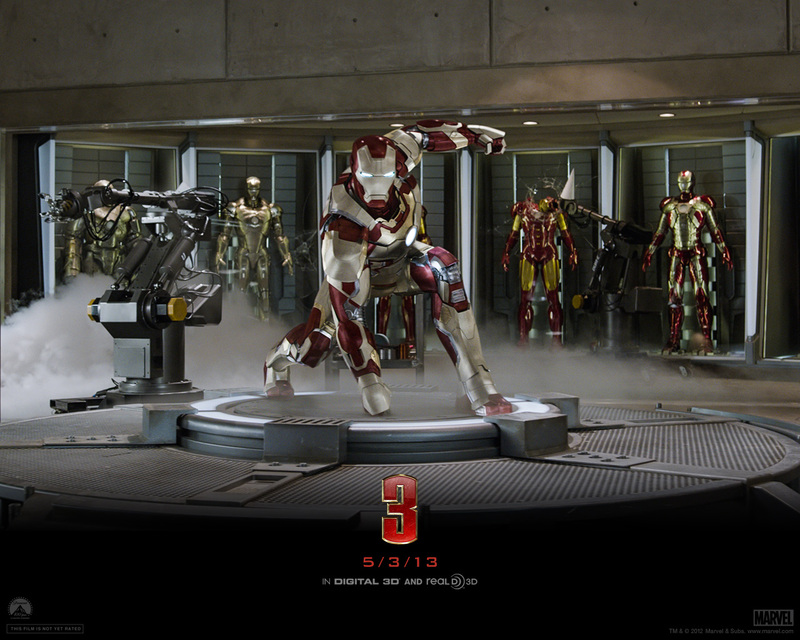 About the costumes, there's only two main ones to talk about- the Iron Man suit & Iron Patriot. The IP suit hands-down I loved it the first time I set eyes on it from the press release photos! The Iron Man suit took time to grow on me but I love it now as well too. Also there's a whole host of other suits as well in the mix & comics fans will definitely quite a few of them in the mix. *The handling of The Mandarin. 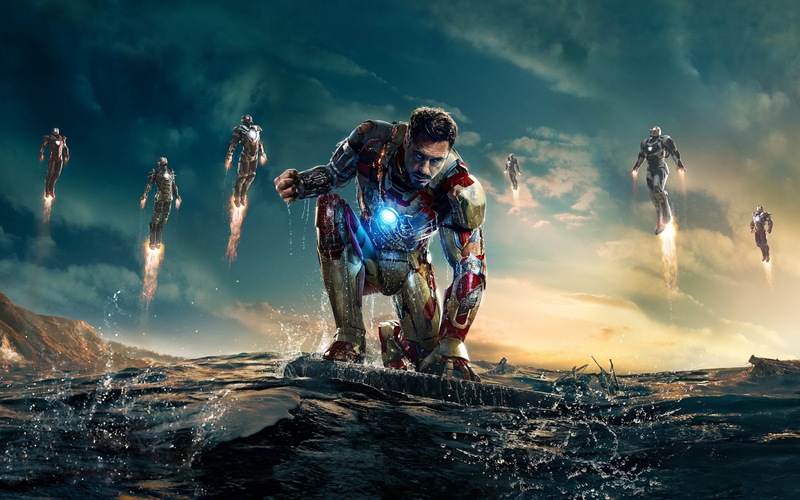 If you aren't a comic books fan & are just going for the movie because you like action movies or enjoyed the Iron Man & Avengers movies before then sure, you won't see a problem with it. But fans of the comics I think will definitely be disappointed with the Mandarin. Not with Kingsley's acting, mind you- just the handling of the character itself. I'm not going to say exactly what but you'll see it for yourselves when you watch the film. If Marvel thought of this as an "interesting twist"? I'm sorry, it just wasn't. *You need some suspension of disbelief. Stark can't just keep jumping into suits & managing to land perfectly in them all the time. Sure he misses once, but I mean really? Also the end after the whole battle is won, what he does to restore Pepper's belief in him is just plain old preposterous I think, even for Stark! *The end-credits scene. Trust me guys- no need for you to stay through to the end to watch it as it offers absolutely nothing new to tease about the future Phase 2 Marvel films. All-in-all, good action, great acting & VFX, good laughs but for comics fans there definitely will be some let-downs. Also if you are planning on skipping the 3D & catching it in 2D, go for it as the 3D didn't really seem to add anything to the experience as such. For me, the movie was a 6/10. Have you seen the film & disagree with my opinion? Let me know in the comments. And watch out for my other comic book movie reviews right here as & when they release this year. My next review will be for the Superman film, Man of Steel, releasing in June. I was wondering if it's worth the 3-D treatment. I am so jealous you saw this first man! Thanks for the honest review. Coming from a Marvel fan, that counts a lot! I look forward to your review of Man of Steel. Marvel Avengers Alliance: Then & Now.